The fourth monument of the season, Liege-Bastogne-Liege is La Doyenne of the Ardennes classics and this year marks its 100th edition. With so many riders targeting this race – Valverde, Rodriguez, Kwiatkowski and Gilbert to name a few – we should see plenty of fireworks on Sunday. The race is 263km long, with the 100km from Liège to Bastogne fairly straightforward with just one climb, La Roche-en-Ardenne, at the 66.5km mark. 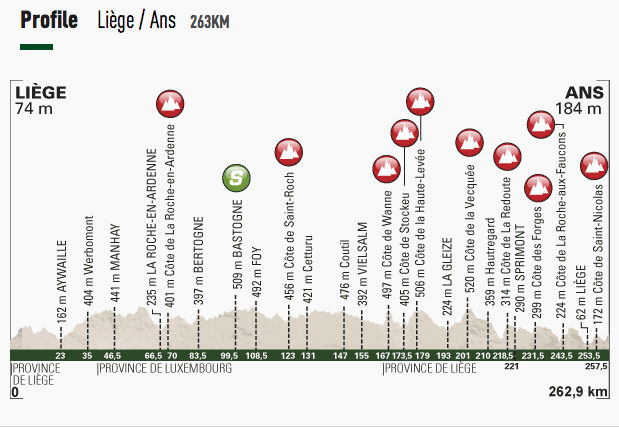 From Bastogne to Liège, it is 163km of long, steep, arduous climbs. The nine climbs in total include the iconic La Redoute as well as the two final climbs, La Roche-aux-Faucons at 1.5km long, with an average gradient of 9.3% and the Côte de Saint-Nicolas, a 1.2 km climb at 8.6% just 6km from the finish. The organisers have added a few historic climbs to commemorate the 100th edition, including Cote des Forges and Haute-Levée. This route will be gruelling. Bernard Hinault‘s victory in 1980 is possibly the most famous finish of La Doyenne, due to the snowstorm that raged throughout the entire day. Think last year’s Milan-San Remo with bells on. It took three weeks for Hinault’s fingers to fully recover their movement. Eddy Merckx holds the record for most LBL wins with five. No one in the current peloton is anywhere close to that record. Belgium has chalked up the most wins in 100 years with 59. Will they make it an even 60 on Sunday? Dan Martin (Garmin-Sharp) is the returning champion, after a memorable win over Rodriguez famously aided by a chasing panda. His season has been very quiet and his abandonment at Amstel Gold made one wonder what his form is like for this year’s edition, but his second place at Wednesday’s Fleche-Wallonne shows he’s ready. Speaking of the Fleche podium, third-placed Michal Kwiatkowski (Omega Pharma-Quick Step) will be wanting to better his position on Sunday. Philippe Gilbert (BMC) is back in form after his victory in Amstel Gold. 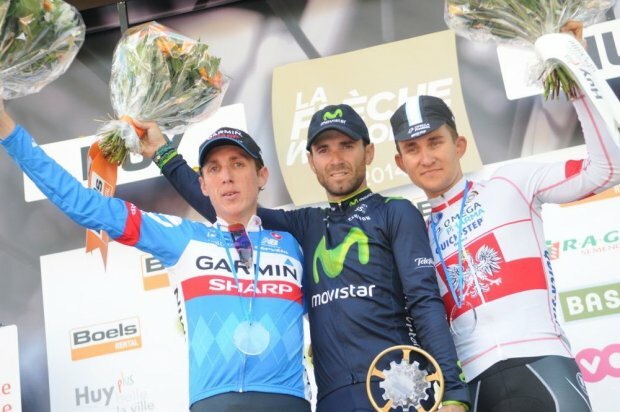 Wednesday’s Fleche winner, Alejandro Valverde (Movistar), hasn’t been out of form since the beginning of the season. Vincenzo Nibali (Astana) has made it known that he’s targetting this race – and he’s not afraid to attack to get it, while Joaquim Rodriguez (Katusha) has said that LBL is his season’s main objective. Let’s hope Purito’s crash last Sunday won’t hold him back. Although I wouldn’t name either as a race favourite, it’s worth noting that Sky’s Chris Froome and Richie Porte are back in action after a month or so of illness and high altitude training. We’ll see how Froome is going with just over two months until the Tour de France.